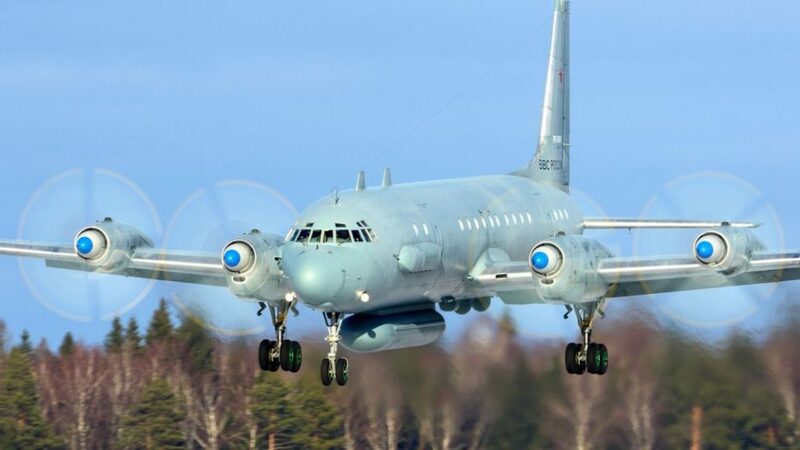 Russia’s accusation that Israeli warplanes used a Russian surveillance aircraft as a kind of shield to hold off Syrian missiles makes no sense whatsoever. That, of course, does not stop either the Russian Defense Ministry or Moscow from claiming it was Israel’s fault that its Il-20 surveillance aircraft was shot down near Latakia. The Ilyushin 20M “Coot-A” is an electronic intelligence aircraft which has a wide range of sensors and is the top spy plane Russia can tactically deploy. These aircraft have frequently been used in exercises near the Baltic states to spy on NATO operations and were recently brought to Syria. The Russians have also brought the “Coot-B” version of the Il-20M to Syria. It operates as an airborne command post. It isn’t clear which version of the Il-20M was shot down by Syrian air defenses. The plane reportedly had 14 crew on board, all of whom are believed to have died. David Cenciotti wrote in the Aviationist that the Il-20M has been involved in two “close proximity” incidents – the first in March 2014 involving an SAS (Scandinavian Airlines) 737 roughly 50 kilometers southwest of Malmo, Sweden (over water and not too far from Copenhagen) and the second incident in December 2014 involving a Canadair CRJ-200 flying from Sweden to Germany. Both the SAS and Canadair flights were civilian aircraft flying established air routes and known to all air controllers. Despite the elaborate sensors on the Il-20M and the known flight paths of the commercial aircraft, both incidents involved close encounters that could have resulted in an air tragedy. The Il-20M is a large aircraft powered by four turboprop engines. Its top speed is 356 knots (685 km/h or 420 mph). It performs multiple roles including anti-submarine warfare and air combat management. The platform dates back to the 1970s, but has been modified and updated from time to time. On a radar screen, the Il-20M would appear as a large blip. Modern radars classify targets, so the IL-20M would be properly classified as a large turboprop aircraft and, depending on the quality of the radar and the built-in library of the radar system, would most likely identify the aircraft as the Il-20M. The plane was returning to the Khmeimim Airbase when it was hit on Monday Sept 17. The aircraft was reportedly some 20 kilometers (12.4 miles) off the coast over water and preparing to land. The Syrians were operating the S-200 air defense missile system. The S-200 is known to NATO as the SA-5 “Gammon.” There are approximately five S-200 sites operating in Syria manned by Syrian troops. In addition, there is an S-400 Triumf air defense system at Khmeimim operated by the Russians. The S-400 (aka the SA-21) is one of the world’s most advanced air defense systems. Just as the S-200 system was in range of the Israeli jets that attacked Iranian and Hezbollah facilities in Latakia, likewise the S-400 was in range of the attacking Israeli jets. But the S-400 was never fired. Israel deployed four F-16 jets on this particular operational missile. Consistent with Israel’s deal with the Russians, a de-confliction system is in place. This means that Israel notifies the Russians where it is running an operation and the Russians stand down. While there is no proof in the Latakia incident, the best assessment is that the Russians were aware of the Israeli jets and did not operate their S-400 since there was no threat to the Khmeimim base or to any of Russia’s air assets. The Russians say that the Syrians fired their missiles either at incoming Israeli missiles or at the Israeli F-16’s and instead hit the Russian Il-20M, which was many miles away from the area targeted. The Russians also said that the Israeli F-16’s hid behind the Il-20M to avoid detection by the Syrian air defense system. Claiming you can hide four high-speed jets behind a huge slow-moving surveillance aircraft already slowed down for a landing at Khmeimim is illogical. Any competent radar can tell the difference between a slow-moving platform and one that is operating at high speed. A more likely explanation is that the Syrian gunners simply fired air-defense missiles at anything that “moved,” regardless of any classification system. This suggests massive incompetence by the Syrian gunners, not an effort by Israeli warplanes to “hide behind” a lumbering Russian turboprop. In any case, Israeli tactics against air defense sites generally involve some kind of jamming on electronic defense systems on Israeli jets. The only Israeli jet to be hit by a Syrian SA-5 system was last February when an Israeli F-16 was clearly inside Israeli airspace and probably preparing to land when it was hit. The F-16 pilot was not expecting any further combat activity (it was returning from a mission over Syria) and was hit because it was caught by surprise. As Syria and Russia knew that any attack inside Israeli airspace could lead to war, the F-16 incident in February was exceedingly dangerous and suggests that Syrian gunners once again were reckless. 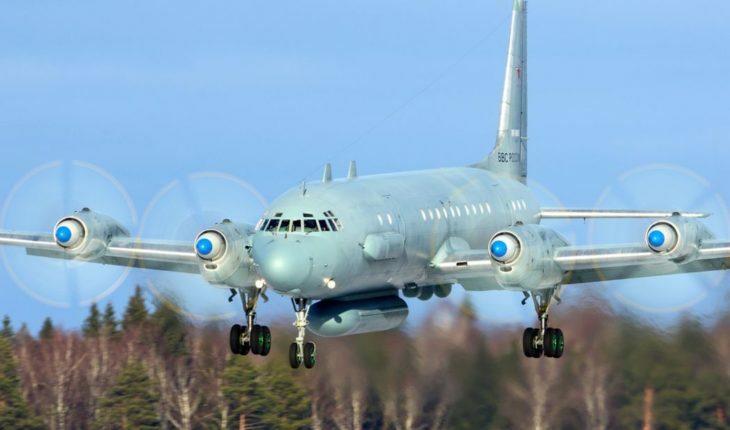 Shooting planes in Israeli airspace also violated the deal between Russia and Israel and could have spiraled out of control. But there is more. The Israelis are saying their planes were long gone by the time the Syrian air defenses opened up firing – a pattern that has been repeatedly seen in Syria whenever there is an air raid or missile strike. It would not make any logical sense, in any case for F-16’s to linger after completing their attack, and therefore it isn’t possible for them to try and “hide” anywhere. They were already probably back in Israeli airspace. The missile that hit the Russian plane came from the SA-5, which is an old system that has frequently been upgraded. We don’t know the status of the SA-5 system in Latakia. In addition to “smart” radar tracking systems that can classify aircraft, even a “dumb” radar would have clearly seen the Il-20M as it scanned the horizon. Most modern aircraft and air defense systems today are equipped with IFF systems. IFF stands for Identification Friend or Foe. The idea is to tell the air-defense system or other own-aircraft that the unknown aircraft either is hostile or friendly. It is not known how much the Russians have done to improve the IFF systems embedded in Syrian air defenses, but given the latest incident shooting down the IL-20M, it seems not much, if anything. The fact remains that a modern and powerful missile brought down a large civilian aircraft, a Boeing 777 and all on board perished. Any competent radar system would have known this was a civilian airliner flying on an established commercial route and already handed off by Moscow air controllers, no matter who pulled the trigger. Russian air-defense systems, therefore, carry a severe risk because they can cause dangerous incidents that could lead to even bigger conflicts. In addition, many who operate these systems are incompetent or worse. It is no wonder after the latest mess in Syria the Russians are ultra-anxious to offload the blame by scapegoating Israel. Russia’s missile defense customers, including some NATO nations, such as Greece and Turkey, should beware.